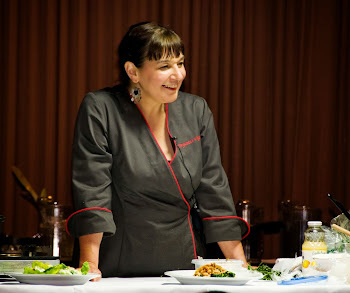 As you probably know, I haven't had alot of time or inclination for cooking lately, with my dear Mom's illness, hosting family members, and Mom's subsequent death and all that goes with that. 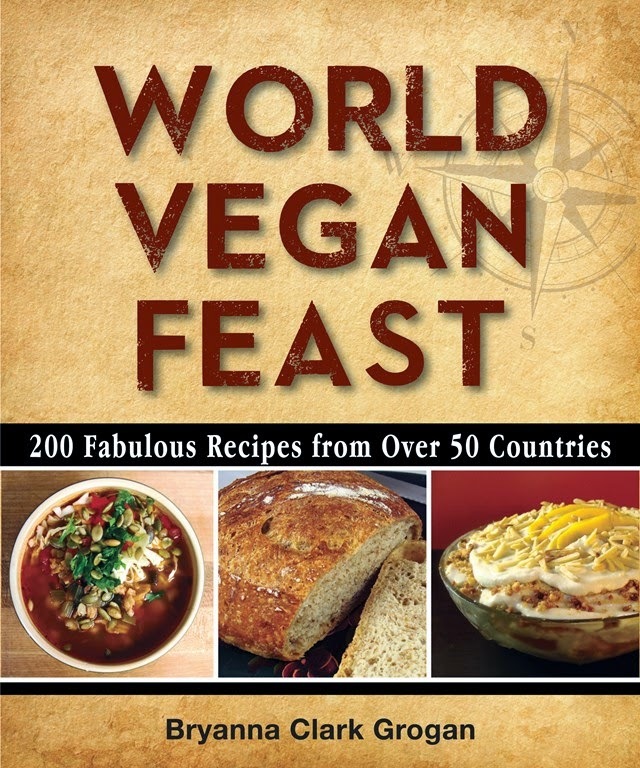 So, we were eating store bought vegan foods more often. 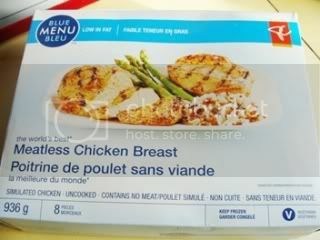 I saw Gardein's vegan "Meatless Chicken Breasts" (packaged for the President's Choice Blue Menu brand [Canadian], 8 in a box with no sauce-- Tal Ronnen uses them in his cookbook) in the freezer section at out local Superstore, and decided to get a box to keep for quick meals for the 2 of us. They have a rather alarmingly real look and texture! I've mostly used them in an Italian manner, with a light sauce of wine or fresh lemon juice, olive oil, broth, mushrooms and herbs. We have enjoyed them that way. They have a really chicken-like texture, but not alot of flavor. In my opinion, they need a good sauce! The other night I had to make something quickly, and as I've been reading alot about Peruvian cooking and other South American cooking, I recalled a well-known (and delicious) potato recipe called Papas ala Huancaina (or Huancaya). I thought that the sauce would be a good foil for the Gardein product, since it is both creamy and spicy. Unfortunately, it can be very high in fat (some recipes calling for 1 cup of oil, on top of cheese and evaporated milk!). So, I made quite a few substitutions. (That's why I'm calling it "Huancaina-Inspired".) When I have time, I'm going to work on a version that is a little closer to the original, but still not so high in fat. 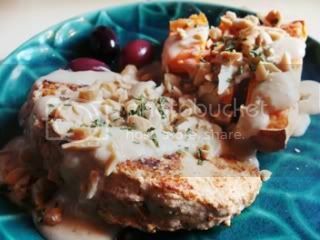 It is quite delicious, and I thought it was super-yummy on the Gardein "chicken breasts" with the addition of a sprinkling of chopped roasted peanuts. I served it simply with salad and a sweet potato, but rice and/or steamed yellow potatoes would be more traditional (rice is ubiquitous with most Peruvian meals). Oh, and just follow the directions on the package for stove-top cooking. It takes about 10 minutes. Papas a la Huancaina (or Huancayo) are served like this: On each serving plate, place a lettuce leaf. Place a steamed Yukon Gold potato (still hot) on each lettuce leaf. Place 3 black (kalamata or Alfonso) olives, 2 chunks of cooked sweet potato, 2 chunks of cooked corn on the cob, and 2 or 3 chunks of Potted Tofu (or commercial "Tofu Feta") around the potato. Coat the potatoes with the sauce, distributing evenly. Garnish with strips of pepper and chopped roasted peanuts. Serve immediately. This may be a bit thinner than the traditional sauce-- I don't like my sauces too thick. OPTIONAL: a little (about 1/2 teaspoon) turmeric to make the sauce more yellow-- the ají amarillo will make the sauce yellow, but, if you don't like it spicy, you might not use enough to make it yellow. As you can see from my photo, I didn't use turmeric. Place all of the ingredients, except the pepper, in the blender and blend until VERY smooth. Pour the mixture into in a heavy medium saucepan. Stir over medium-high heat until it thickens and boils, then turn down and simmer on low for a few minutes. MICROWAVE OPTION (this is what I usually do): In a large microwave-safe bowl or 1-2 qt. Pyrex measuring beaker/batter bowl , cook the blended ingredients on full power for 1 1/2 minutes. Whisk . Microwave for 1 1/2 more minutes. Whisk. Microwave for 1 1/2 minutes more. Either way, stir in the sautéed onion, lemon juice and pepper to taste, and serve hot. I have some purple potatoes that need to be used. A friend purchased them for me in the fall at a farmers' market in Vancouver -- organic ones at $3 lb! I was saving them for a Peruvian recipe (that's coming! 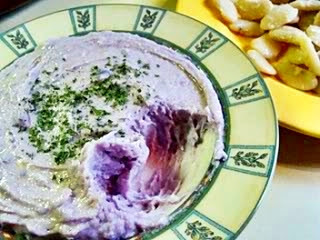 ), but today I decided to pretty-up a delicious potato-based Greek dip (or spread) called Skordalia by using them instead of the usual white ones. I also wanted to lower the fat in the recipe (the traditional recipes contain LOTS of olive oil), which I did by using my low-fat homemade vegan mayonnaise (you can also use Reduced Fat Vegenaise®, if you prefer). The result is a creamy, deliciously garlicky dip that is very simple to make. This dip is traditionally served with fried fish, but is delicious with fried tempeh or tofu strips, or raw or steamed vegetables (green beans would be yummy!). We like it with cooked gigante beans (giant lima beans ). These are sometimes called giant butter beans, and are sometimes available already cooked in large cans in Mediterranean grocery stores) as dippers. Just soak the dried ones overnight and change the water, add a bit of salt and simmer for about 1 hour, or until tender, but whole and intact. 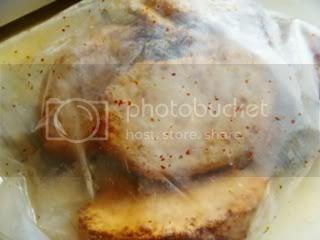 Scoop them carefully out of the pot and spread them on cookie sheets to cool before using-- use any broken ones in soups, etc.. This combination makes a hearty snack or lunch. BTW, anthocyanin pigments, which are responsible for red, purple and blue vegetables and fruits, give these potatoes their unusual color and have nutritional value as antioxidants. 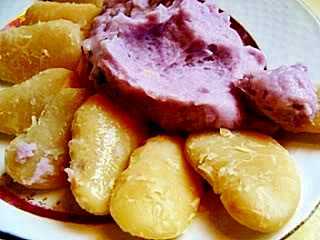 Consequently, blue/purple potatoes have higher levels of antioxidants than ordinary potatoes. Are purple and blue potatoes different varieties? Yes and no-- read this article! 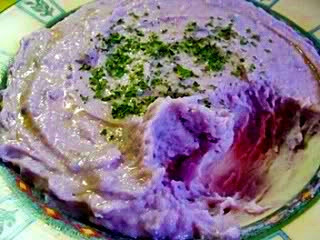 BRYANNA'S PURPLE SKORDALIA (GREEK POTATO AND GARLIC DIP OR SPREAD), LOWER FAT! Wash the potatoes and cut into even-sized halves or chunks. Do not peel! Steam them over simmering water until fork-tender, but not mushy. Peel each chunk under cold running water-- the skins should slip of easily. In a large bowl, mash the potatoes well with a potato masher (or use a potato ricer). Add the crushed garlic and the vegan mayonnaise. Mash again, and then switch to a heavy wooden spoon and beat in the lemon juice and salt. Nutrition (per 1/2 cup): 131.9 calories; 33% calories from fat; 5.0g total fat; 0.0mg cholesterol; 407.9mg sodium; 334.9mg potassium; 20.1g carbohydrates; 1.7g fiber; 0.9g sugar; 18.3g net carbs; 2.6g protein; 2.7 points. 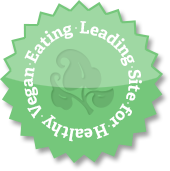 If you use Reduced-Fat Vegenaise®, the fat and calorie content will be higher, as follows per 1/2 cup: 191.5 calories; 57% calories from fat; 13.4g total fat; 0.0mg cholesterol; 400.3mg sodium; 304.7mg potassium; 19.3g carbohydrates; 1.4g fiber; 0.8g sugar; 17.9g net carbs; 1.6g protein; 4.7 points. I haven't been cooking much beyond soup, veggie sausages, and pasta these days, due to our situation, but earlier this week I decided to experiment with converting my 100% whole wheat sandwich bread to the no-knead technique, to make it easier and more flexible for busy home bakers. Not everyone wants the crusty bread that the no-knead technique is so great for-- sometimes you want a softer bread, or sometimes you don't want to bother with baking on hot baking stones or in hot pots! I tried it one time with too much water in it and it was tasty, but too heavy. So, the other day, I cut back on the water and it was just great! If you prefer 100% whole wheat, but you want a less crusty, softer version, I think you'll enjoy this simple bread for toast and sandwiches. We mill our own flour with the wonderful WonderMill, BTW! NOTE: Why use potato water? Well, for one thing, it's a good use of water from cooking potatoes. But, seriously, the potato seems to help make 100% whole wheat bread nice and light-- I'm not sure why. Dissolve the yeast in the potato water or water with potato flakes, along with the sweetener in a large bowl. When bubbly, mix with the remaining ingredients and then stir in the flour, using a Danish dough whisk or a heavy wooden spoon. The dough will be soft and rough looking-- don't worry! Either way, when you're ready to bake, shape the dough into 2 loaves (they will look a bit loose and sloppy, but not to worry!) and place in greased 8-8 1/2" x 4 1/2" loaf pans . (If you like, sprinkle the bottoms of the pan first with a few raw sesame seeds. My husband always does this and it lends a little extra something to the flavor!) Pat down on the top of the loaves with a wet hand to make the surface even. Cover the loaves loosely (you can place the pans inside of a new small white bin-liner-bag and twist-tie it, leaving room for rising, or use the plastic shower caps) and let the COLD loaves rise about 2 hours, or the un-refrigerated dough rise for about 40 minutes, or to the top of the pans or slightly rounded over the tops of the pans. If you want to try using my husband's unique baking technique, which makes a moist bread with a nice crust, preheat oven to 480 degrees F with convection, 500 degrees F without convection. If you can’t be bothered changing the temperature during baking, just heat it to 375ºF! Using my husband’s technique: just before baking, spray the loaves with water from a pump-sprayer (this helps you get a nice "oven-spring"). Place the loaves in the middle of the oven, and bake for 5 minutes. 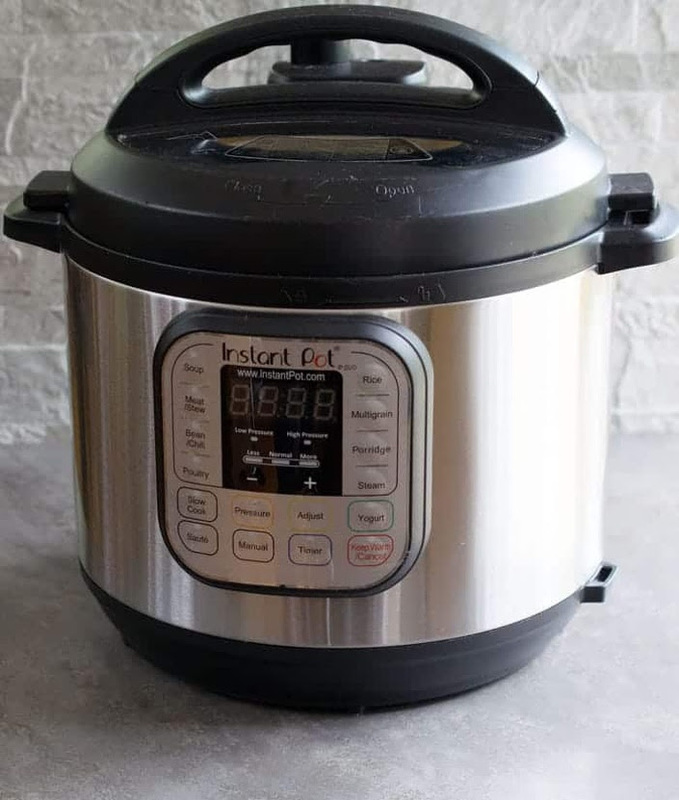 IMMEDIATELY LOWER HEAT TO 400 degrees F with convection, 410 degrees without (if you are baking 4 loaves at once, make the temperature 410 degrees F with convection, 425 degrees without), and bake for about 20-25 minutes, or until golden brown. If you are using the usual baking technique: Bake at 375ºF for 30-40 minutes, or until golden-brown. TIP: Either way, if your oven heat is uneven, switch the loaves around to different positions after the first 10 minutes at the lower temperature. Remove the loaves from pans immediately and cool on racks before slicing. TIP If you like a shinier crust, rub the top of the loaves with a little vegan margarine (Earth Balance). Turn the loaves out onto racks to cool thoroughly (loosen the sides with a table knife, if necessary). I haven't been doing much in the way of interesting cooking lately, as life has been a bit helter-skelter due to my mother's illness. I have alot of things I want to experiment with, but it's just not going to happen right now, so I'm making quick or slow-cook ing favorites. Soup is a life-saver these days. 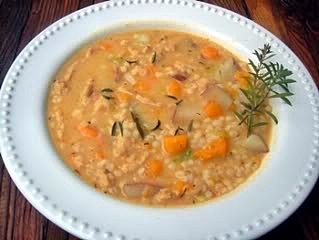 The following soup is my "go-to" when I want something really hearty and filling, but quick to make and low in fat. We'll probably have leftovers for dinner when we get off the ferry tonight from being with my mom in Courtenay. One thing good about this time is that I have to slow down on certain things, and do some reflection. This has led me to take care of some parts of me that have been neglected. I've started dancing with my dance sisters, Gillian and Bronwyn, once a week again (and vowed to do some by myself, too!) -- good for the spirit and the body. We're eating simply, which is what we need after the Christmas season. I've also started up a new cooking journal like I used to keep (read about those here), with a brand new red and black volume of blank lined pages-- you know, there's something satisfying about putting pen to paper sometimes, rather than using the computer. I'm enjoying sitting down and reading randomly from the old ones. This is a lovely, homey soup for fall and winter. 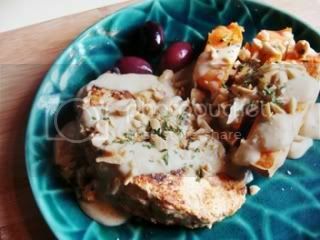 1 1/2 cups reconstituted Soy Curls® (See here for info; or use commercial or homemade vegan “chicken strips” or "shreds"; or slivers of smoked or baked tofu, or "chicken"-style seitan. 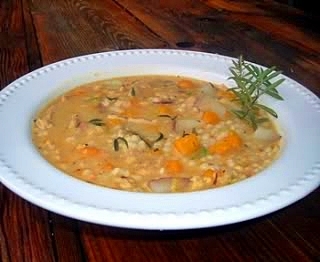 Place the broth, onion, squash, chicken substitute or tofu, barley, potato, celery, soy bacon bits (or liquid smoke), bay leaf, thyme, and savory into a soup pot and bring to a boil. Turn down to low heat, cover and simmer for 30 minutes. Stir in the milk and taste for salt and pepper. Sprinkle each serving with chopped parsley, if you like. NOTE: If the soup is too thick, or gets too thick when cooled, just add a bit more broth until it is the consistency you like. 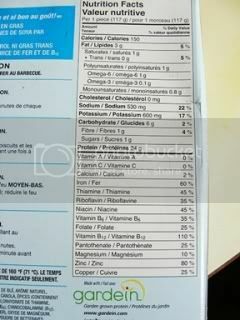 Nutrition (per serving): 236.1 calories; 8% calories from fat; 2.2g total fat; 0.0mg cholesterol; 86.8mg sodium; 659.4mg potassium; 47.8g carbohydrates; 8.7g fiber; 4.1g sugar; 9.0g protein. It looks a bit messy, but it was delish! This is pretty fast to make if you have the Taco Paste made up in the refrigerator (recipe below-- it keeps for ages!). We had a rather late dinner last night and I had some already reconstituted Soy Curls in the fridge, and some ripe avocados that needed using, so this is what I came up with-- DH loved it! Healthy, spicy, lots of textures. Mix the 2 types of quinoa together in a medium pot with the water and salt. Bring to a boil, then cover and turn down to a low simmer. Simmer for 20 minutes; turn the heat off and let stand about 5 minutes. 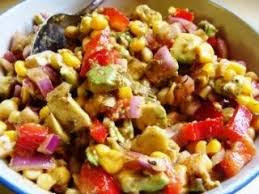 To make the Salsa, mix all of the ingredients together in a medium bowl. Refrigerate until serving time. In a medium bowl, mix together the reconstituted Soy Curls with the Taco Paste, rubbing it into the Soy Curls with your fingers until evenly distributed. Heat a large nonstick skillet and spray it with a few squirts of oil. Add the Soy Curls and stir-fry for a few minutes just to heat and slightly brown. 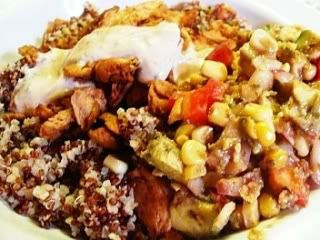 Place a scoop of quinoa in each serving bowl, top with 1/3 of the Soy Curls and add a pile of the Salsa alongside. Drizzle Tofu Sour Cream over the Soy Curls and serve! From my book "Soyfoods Cooking for a Positive Menopause ". Store in a tightly-covered jar in the refrigerator.